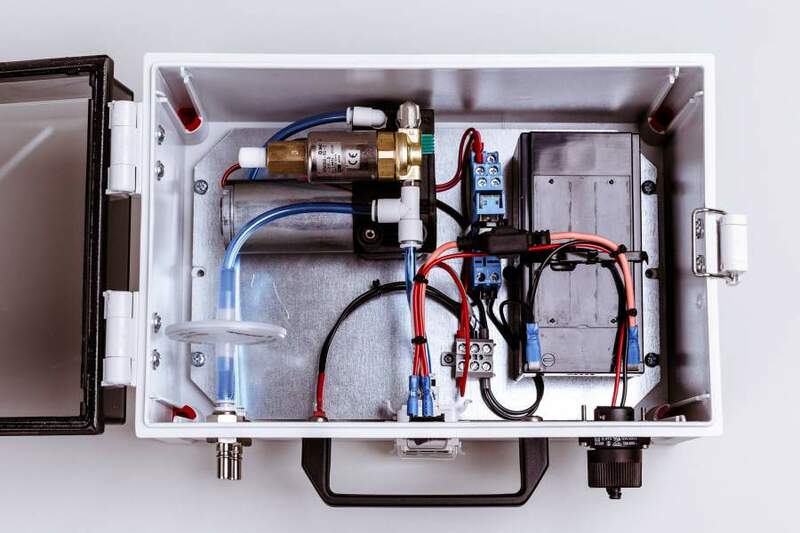 The portable vacuum pump is developed for the PRENART field equipment for soil and groundwater investigations. 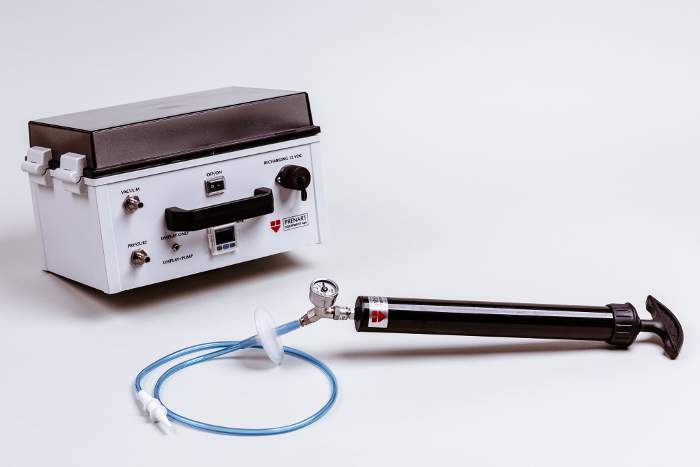 Due to it's simple construction and robustness, it is applicable everywhere when easy and quick access to vacuum or compressed air is required. 7.2 L/min. at 0 bar. A 2 L bottle can be evacuated to a vacuum of -600 mbar in 23 sec. 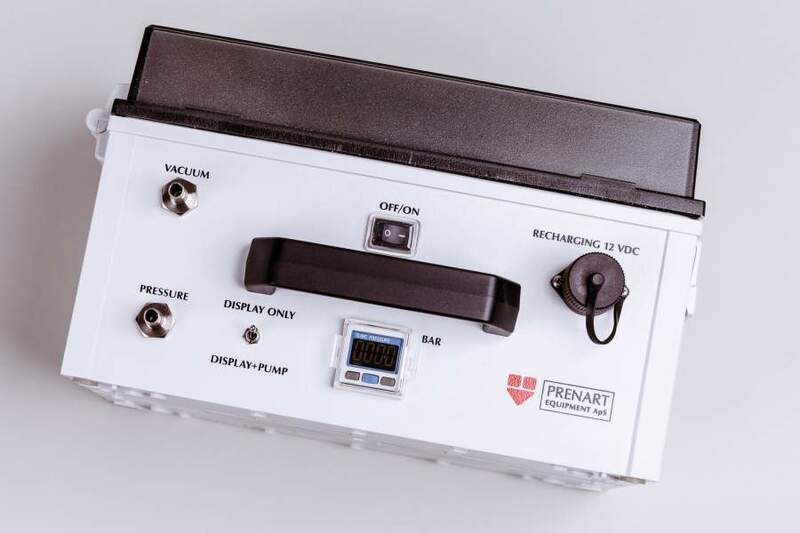 The PRENART hand operated vacuum pump consists of a plastic tube/piston with a stroke capacity of approx. 225 ml. 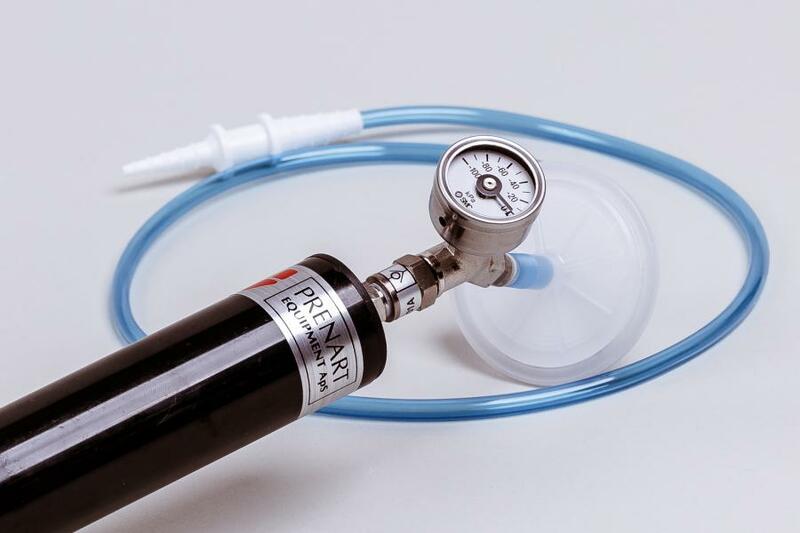 The pump is effective and robust with a vacuum gauge (Kpa scale) and a check valve installed.